Ai Weiwei, Chang'an Boulevard (Clip), 2004, color video with sound, 10h 13m from MoCP, Columbia College Chicago on Vimeo. 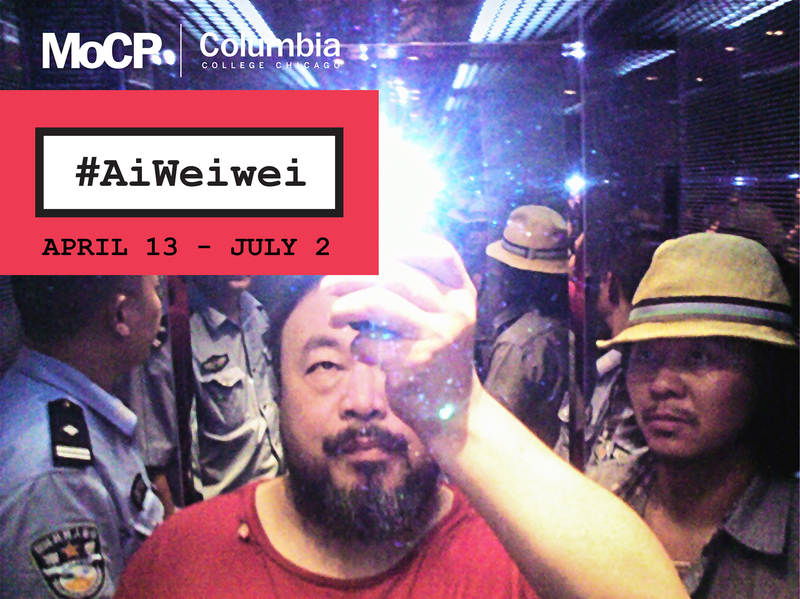 Ai Weiwei, On the Boat (Clip), 2016, color video, 9m 40s from MoCP, Columbia College Chicago on Vimeo. These two videos are on continuous loop in the cornerstone windows on the exterior of the MoCP building at Michigan Ave.